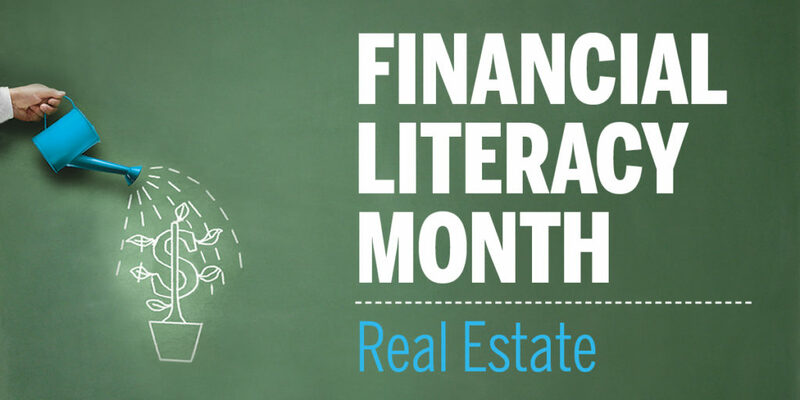 Real estate isn’t just a place to live anymore, it’s now an integral part of your financial plan. But that doesn’t mean you should get in at all cost. To make it work, you need to consider the purchase of a home as part of your overall financial plan. To help you stay on track, here are eight simple steps you can take to start the home-buying process in a fiscally responsible way. Most people start their home buying process by going to an open house or by going online to the Multiple Listing Service— a collection of private databases used by real estate brokers to list homes for sale. But if you’re serious about becoming a homeowner, the first place to start is with your financial budget. If you haven’t already make a list of all your known monthly and annual expenses. Now compare that to the income you take in. Any money left over should now be used to further your home purchase plans. If you don’t have money left over you either need to reconsider what you currently spend your money on or honestly ask yourself if you can afford home ownership. To put money down, you must save up money, but this doesn’t mean cramming cash under your mattress. Use money you’ve already saved in your RRSP through the federal Home Buyers’ Plan. (For information on how this works, go here.) Family can also give you a loan (although this could impact how much mortgage you get, as it becomes part of your debt) or a cash gift. You could also redo your budget, cutting out some expenses and then using the money as part of your home-buying savings plan, or take on extra work to earn a bit more money. The key to a strong credit score is to be consistent about paying your bills. This doesn’t mean letting one bill become overdue as you pay another off. It means paying at least the minimum monthly payment for each credit card and personal loan where you have a balance. Consider every late payment as a mark against your credit rating. A low score can actually prevent you from buying a home as you may not qualify for a mortgage, or you’ll get dinged with a much higher mortgage rate. If you’re starting from scratch, consider applying for a pre-paid credit card. Then use it and pay it off each month. The key is not to max-out the card but to consistently use and pay off the balance. It’s about showing how responsible you are with the credit, not how many bills you can rack up. When you’ve got a strong enough credit score, apply for a credit card or two. With two credit cards used and paid off every month, you’ll build a strong credit score in no time. Now that you’re building your credit, you’ll want to confirm that your credit report is accurate. Now, it’s time to talk to a mortgage professional. This preliminary talk is also called the “pre-approval” process—it enables you to determine roughly how much mortgage you can qualify for, based on the information you provide. Remember, though, junk in is junk out. The more accurate you are with your information, the more precise the pre-approved mortgage will be. Also, in this day and age of connectivity, this “talk” with a mortgage professional can also be done through online requests or forms and through various banks and broker websites. Keep in mind, that mortgage agents work solely for the bank that employ them, while brokers are independent and represent a number of different lenders. Regardless of who you choose to work with you won’t end up paying this person directly—the lender pays the agent or broker once a deal is finalized. It’s important to remember that buying a home is only one part of a larger financial plan. For that reason it’s important to buy a home based on your own budget, not on the maximum loan you can borrow. Use online calculators, like Karl’s Mortgage Calculator, to run your own numbers. Consider what will happen in five years should interest rates go up; how do extra payments help? By running your own numbers and sticking to your own budget, your home purchase can become a pillar that helps hold up your overall financial plan, rather than an anchor that can pull it down. Now that you know what you can realistically afford, it’s time to go house-hunting. A good way is to employ the services of a licensed real estate agent. These are professionals who make it their business to know the market and neighbourhood details. To find a realtor, talk to friends, family and colleagues. Interview at least three before choosing someone to work with. Of course, you’re not bound to work with a realtor. However, if you do decide to go without an agent, make sure you educate yourself on the home buying process and make sure you find a good lawyer that specializes in your type of home purchase (a condo lawyer, if you’re buying a condo, a lawyer with co-op experience if buying a co-op, etc.). At this point it may take days, weeks, months or even years before you find the right home for you. Don’t despair. Remember that while the purchase price of your home and the mortgage rate you secure are important, so are the details leading up to buying a home. By employing these steps, you can prepare yourself to buy a home without holding your own financial plan ransom.